In 1979, Bill and Mary Seavey purchased a roughly 200-acre property in the sheltered rolling hills of Conn Valley—barely four miles east of St. Helena as the crow flies but farther as the road winds—as a weekend retreat (Bill practiced law in San Francisco). 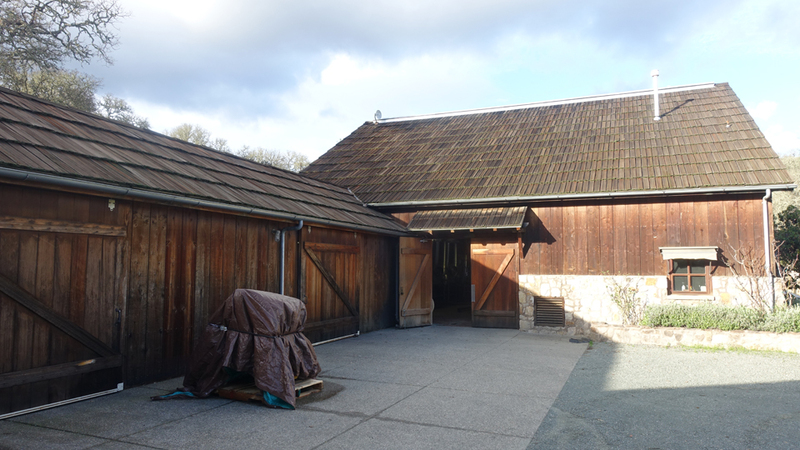 The estate was originally founded in 1881 by the Franco-Swiss Farming Company but wine production ended with Phylloxera and Prohibition and by the 1970s it was a cattle and horse ranch. 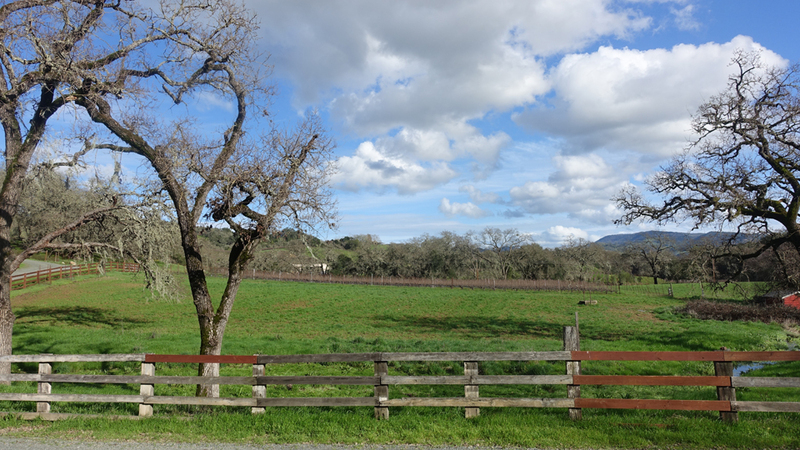 To this day, the cattle remain, and a stone dairy barn constructed in 1881, which served as the Seaveys’ original winery, still stands at the front of the property. As her father was ailing (his wife had passed away in 2008), oldest daughter Dorie Seavey returned to co-manage the estate with her brother Art Seavey in the summer of 2012 after a three-decade career as an economist in New England. Bill Seavey eventually died in 2016. Bill Seavey was a Bordeaux lover but began his Conn Valley venture by planting some Chardonnay in ‘79 and selling off the fruit through the 1980s. In the late ’80s he started planting Cabernet Sauvignon and Merlot (the oldest Cabernet planting was actually 1983) and the winery’s first vintage under its own label was 1990. The genteel Seavey was never actively involved in promoting his wine but thanks to strong early press and its very reasonable price, the Seavey flagship Cabernet was quickly discovered by serious lovers of Napa Valley. Today, Seavey Vineyard makes about 3,500 cases of wine annually from 40 acres of vines, 30 of them Cabernet, all from estate grapes. Just over one-quarter of this total is their flagship Cabernet bottling (the subject of this article), the rest Chardonnay, Merlot and their second-label Caravina Cabernet. The tranquil park-like setting of the house and winery is surrounded by hills, but the estate’s best steep vineyards, extending up to 800 feet, are invisible from the bottom of the property. 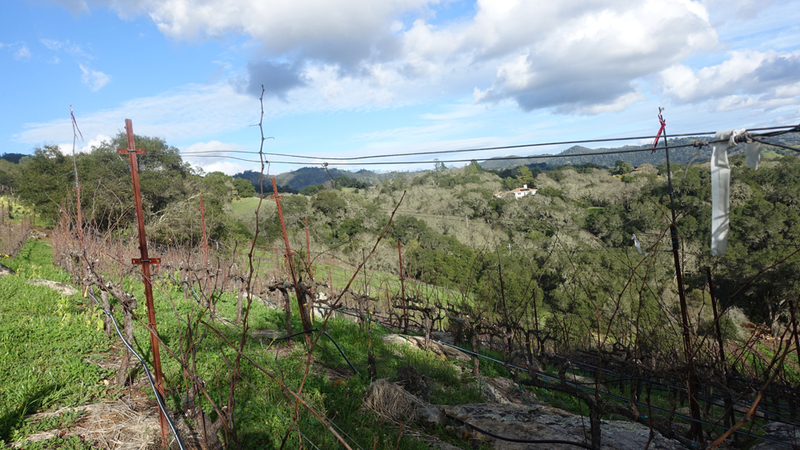 And it’s another world at the top, as the vines there bud as much as ten days earlier in the spring than the Cabernet vines situated lower on the slopes, according to winemaker Jim Duane. The harvest has traditionally started in mid- to late September – or even the beginning of October – and takes three to four weeks to complete, but in recent vintages the estate has begun picking a bit earlier. And the older vines that now form the core of the blend are generally picked in a fairly narrow window during the middle to latter part of the harvest. My tasting at the estate in March was comprehensive: Dorie Seavey presented every bottled vintage back to the beginning. Tastings of this nature cannot fail to be instructive, and this one was no exception. In the early years, Seavey had a string of winemakers; it wasn’t until 2003 that they had a full-timer involved in making the wines. Continuity at this estate has been provided by consulting winemaker Philippe Melka, who began directing winemaking for Seavey in 1995 (he blended and bottled the ’94 and ’93) and was essentially responsible for making vintages 1996 through 2000. Since then he has advised a series of part-time, then full-time winemakers, and he continues today to maintain an advisory relationship at Seavey. In fact, Seavey is Melka’s longest-running client relationship along with Lail Vineyards, which he began assisting in 1995 as well. The vintages I tasted appeared to break quite clearly into two segments: the first decade, and the wines beginning with vintage 2001. I was a fan of the Seavey Cabernet since the start (many of the vintages of the ‘90s merited positive ratings in my International Wine Cellar publication), as I particularly liked the distinctive earth and mineral flavors of the site, and the more savory, Old World character and structure of the wines. Today the vintages from the ‘90s are all fully mature and a few are past their peak drinkability yet have retained something of a hard edge, a lack of pliancy. On the other hand, the younger vintages—i.e., those beginning with 2001—appear richer and deeper, and more capable of truly blossoming in the bottle in the manner of Bordeaux and lasting longer. And the most recent vintages have been consistently outstanding, indicating that the best is yet to come from this estate. There are multiple reasons for the evolution of the Seavey Cabernet through distinct phases. Indeed, many other Napa Valley Cabernet producers have gone through similar development arcs over recent decades. At the outset (mostly in 1986 and 1987), all of Seavey’s vines were planted on vigorous, Phylloxera-sensitive AXR rootstock, which was what UC Davis was recommending at the time. But in the early years the vines struggled and the grapes were not fully ripe. “Also, back in the mid-‘90s we were focusing on making wines with Bordeaux extraction,” said Philippe Melka. That meant, among other things, longer total cuvaison (up to a month) and longer post-fermentation maceration on the skins. The largely serpentine soil (weathered rock) contains some magnesium and iron, but is fairly mineral-deficient and low in nutrients like potassium and nitrogen. Hillside yields are low here, typically barely two tons per acre (there are a lot of old terraces, which would be impossible to create nowadays owing to Napa County’s strict erosion control regulations on planting on slopes), as the vines are stressed. But they have been more consistent in recent years, as the most recent plantings (such as those done in 2006) have been at greater vine density. The estate’s best Cabernet blocks, located on the midslopes, feature about three feet of clay over gravel. Then too, selection for the grand vin became stricter beginning in 1999, as the estate introduced its second wine, Caravina, in that vintage. Annual production for the flagship bottling through most of the ‘90s was in the range of 1,400 cases – and as high as 2,200 in 2000 – but since then has been mostly in the 800 to 900 case range. Melka described winemaking at Seavey as traditional, but made it clear that technique here has evolved. At the beginning, he racked the wine according to the classic Bordeaux schedule (every three months during the first year), but he began to cut back on racking in 2001 and 2002 and racking is minimal today – done on an as-needed basis rather than as a matter of course. In fact, Melka noted that the wines today are made in a gentler, “more Pinot Noir style,” as the fruit is riper and more sensitive to oxidation through rough handling. Melka fined with egg whites through 1998 but for at least the past decade the Seavey flagship wine has been bottled without fining or filtration the second May or June after the harvest. 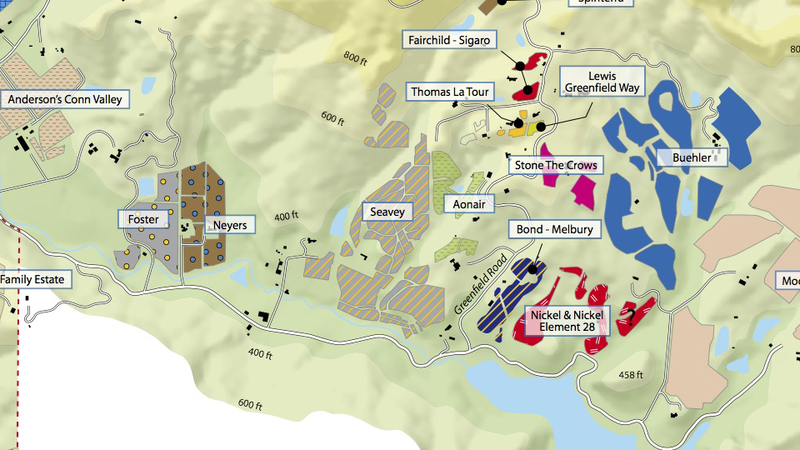 The percentage of new oak was in virtually every case between 40% and 50% from 1993 through 2009. In 2010, it was just 30% but in the past few years, new winemaker Jim Duane has increased it to 60% to 70%. The UC Davis-trained Duane joined Seavey as winemaker in 2011, after having done stints at Robert Mondavi Winery and Stag’s Leap Wine Cellars. He has introduced St. Martin and Troy barrels (he also uses a bit of Hermitage, Séguin Moreau and Demptos), and noted that he’s less enamored with Taransaud and Darnajou, the former barrels featuring prominently in a high percentage of Napa Valley’s so-called cult Cabernets. And he avoids using heavily toasted barrels. In my view, the wines since 2001 have showed a darker fruit character than the early vintages, but still with the plum, smoke, tobacco and mocha scents of the site. The wines of the new century are also richer, deeper and more pliant, and give every indication of aging more gracefully than vintages from the ‘90s. Tannins are more refined than in the past, owing largely to the higher-quality raw materials, but these are still powerful wines. 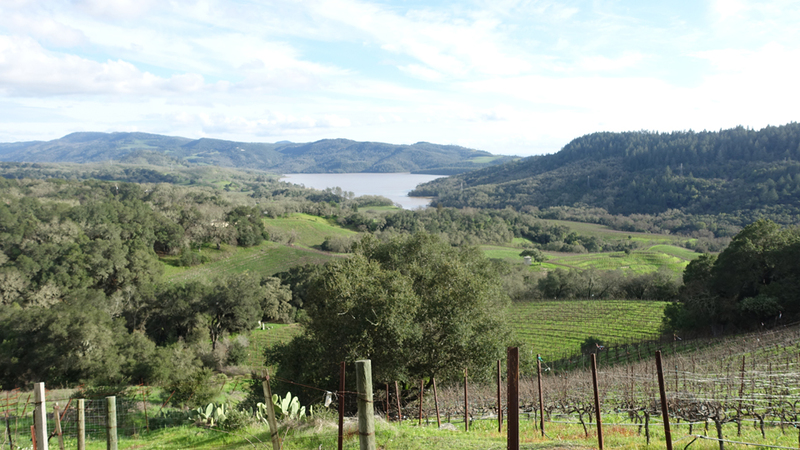 I tasted the Seavey wines at the estate in March with Dorie Seavey and winemaker Jim Duane.